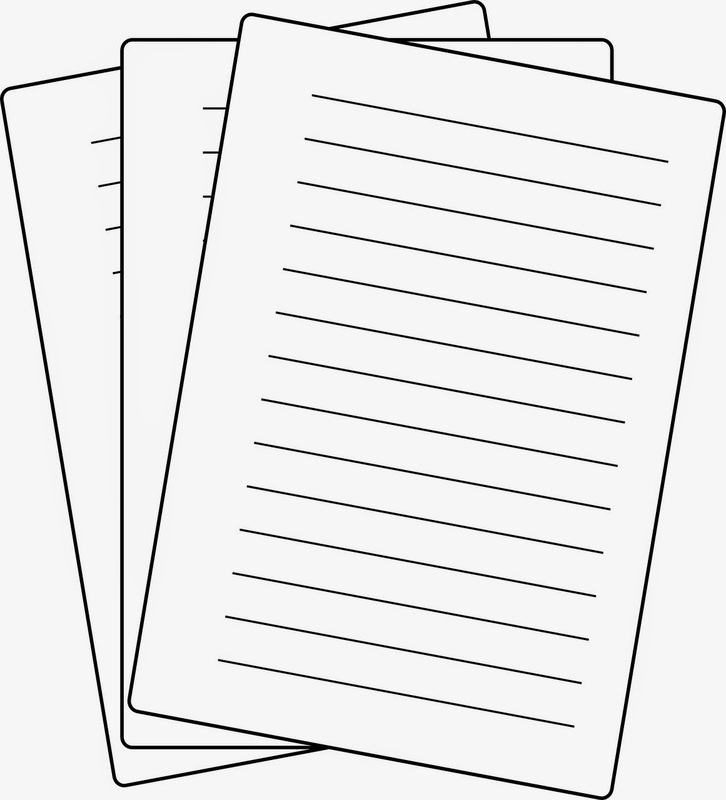 It's been awhile since I've done an Amanuensis Monday post and by golly I say it's time. Sometimes I get so caught up with doing research that the "to do" pile for upcoming posts gets to be a bit out of hand. Time to post some of these things. Plus, this is pretty cool what I am posting today. This is in regards to my paternal line. 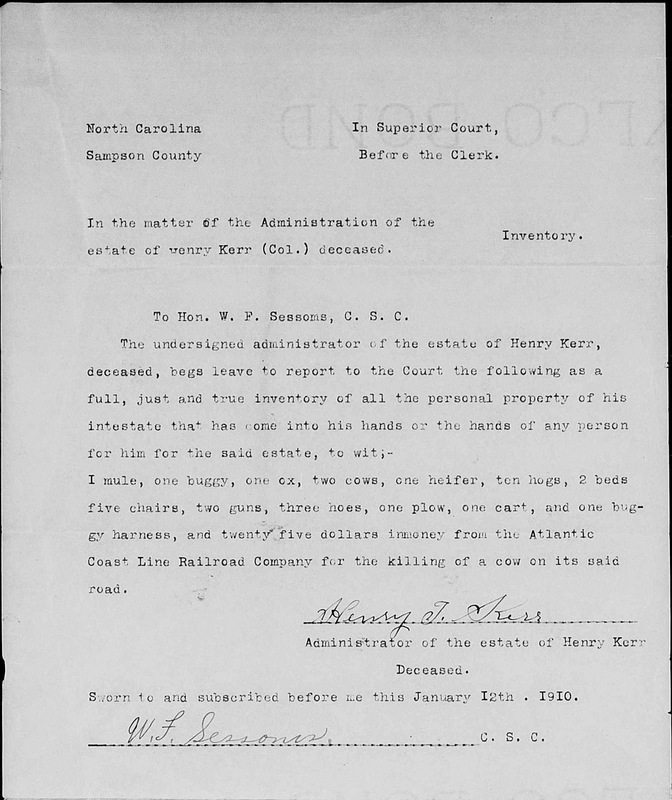 On my most recent post about the Kerr family, DNA Proves I've Got The Right Family!, I finally got the confirmation that I was looking for that I had identified the correct Kerr family in Sampson County. 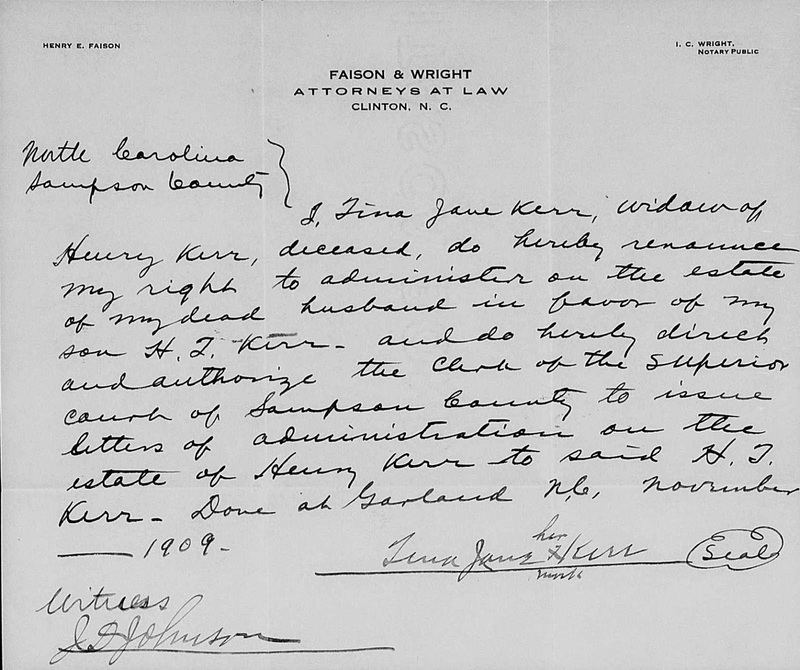 For the longest time, I wasn't able to make any headway beyond my paternal great grandmother Ella Kerr Smith Dixon. Now the door has been opened to the people who came before her. Ella continues to hide from me in the records, so I am going to take a break from Ella today and look at her father Henry Kerr instead. Before transcribing the record, I'll mention the folks involved and their relationship to me. estate of Henry Kerr (Col.) deceased. To Hon. W. F. Sessoms, C. S. C.
I mule, one buggy, one ox, two cows, one heifer, ten hogs, 2 beds five chairs, two guns, three hoes, one plow, one cart, and one bug-gy harness, and twenty five dollars inmoney from the Atlantic Coast Line Railroad Company for the killing of a cow on its said road. Sworn to and subscribed before me this January 12 . 1910. W. F. Sessoms C. S. C.
Henry E Faison I. C. Wright. I, Tina Jane Kerr, widow of Henry Kerr, deceased, do hereby renounce my right to administer on the estate of my dead husband in favor of my son H. T. Kerr and do hereby direct and authorize the clerk of the superior court of Sampson County to issue letters of administration on the estate of Henry Kerr to said H. T. Kerr. Done at Garland, N.C. November ______1909. More to come tomorrow. It's late and I still am getting over the flu so to bed I go.